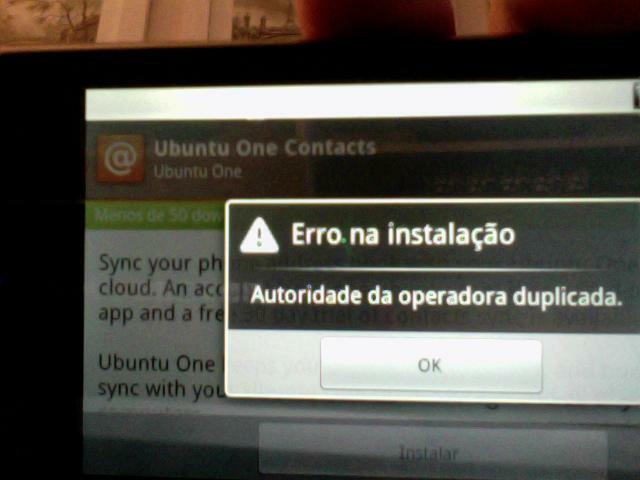 When installing Ubuntu One Contacts, I get th error "Duplicate Provider Authority", except in Portuguese. 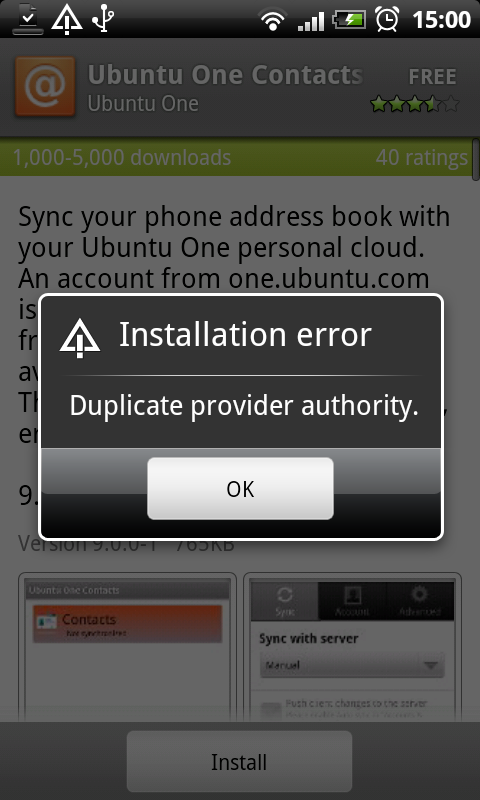 I *think* I had installed the 'other' Ubuntu One app before, so maybe the source was cloned and some identifier wasn't changed? Phone is a brazilian retail Motorola Milestone, if it matters. After uninstalling Funambol Sync, the installation succeeded. Yes, I think this should not happen with any officially-announced Ubuntu One sync clients. If you have development versions installed, you must remove them first. This does still occur with the app in the market store. Removing Funambol sync fixed the problem.